Gyrokinesis is a movement class that feels more like a most-do, self-care ritual for body and soul. 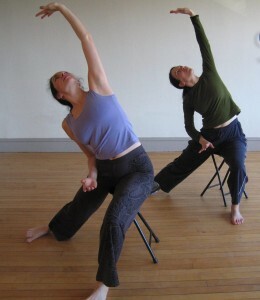 Class includes a directed self-massage, breath work, delicious movement, balance and strengthening exercises. It’s a whole-body tonic and an energizing and elegant work out. Come check it out. Drop in, or contact me with questions. Hope to see you soon. GYROTONIC® and GYROKINESIS® are registered trademarks of the Gyrotonic Sales Corp. Inc. and are used with their permission. Gyrotonic is alternative exercise based on Qi gong and yoga, and can be performed using equipment that creates pleasurable resistance to circular movement patterns. I’ve been teaching private sessions and Gyrokinesis (the group class) since 1996, have taught it at many colleges, and helped train new generations of teachers. Try it for yourself! Gyrotonic training is beneficial to a wide range of people, from seniors to physically fit athletes. I work out of my studio in Easthampton, and want to make it affordable. Contact me for details. 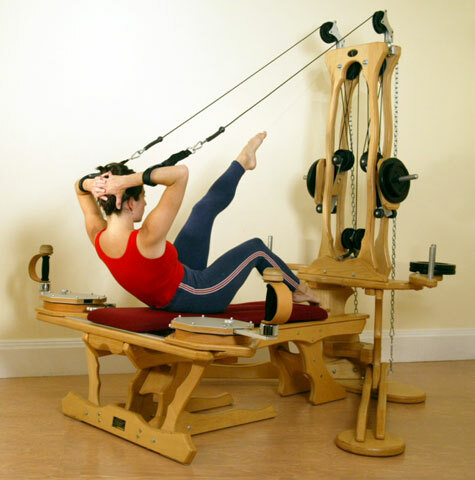 GYROTONIC EXPANSION SYSTEM®, GYROTONIC® and GYROKINESIS® are registered trademarks of the Gyrotonic Sales Corp. Inc. and are used with their permission.